I wonder if there’s a lot of people that never make Crème Brûlée because they think it’s complicated and difficult. I hope I can change your mind! 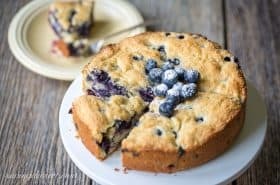 Get out the easy button on this one because with just a few ingredients and a whisk, you’re going to impress your lucky guests with an amazing dessert. 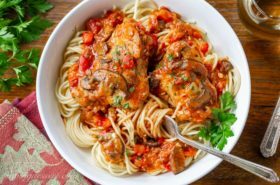 This recipe was developed for two but is easily doubled or tripled as needed for a hungry crowd. I hope you’re not tired of pumpkin because it’s the perfect inspiration for this delicious dessert. You’ll need a couple of small ramekins and a large pan that is at least 2-inches deep, for the hot water bath. I used two 7-ounce ramekins so if you’re not positive what size you have, make sure they will hold at least 1 cup of water (8 ounces) filled to the top. At 7-ounces the batter will be about 1/2 inch below the rim. The custard is baked low and slow at only 300 degrees for 45 minutes. The center should jiggle a little when you shake the pan, but not be runny. The custard will set once it is cooled. Just the right size with great flavor from the pumpkin and pumpkin pie spice, this is a fall treat not to be missed! 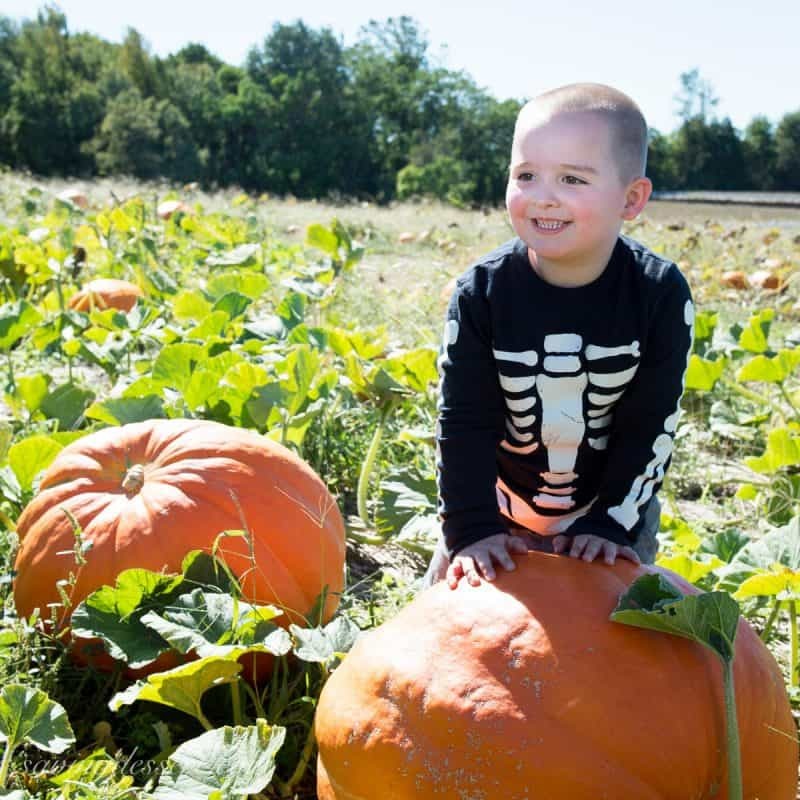 We went pumpkin shopping with the grandkids last weekend and, once again, had a great time gathering little gourds and pumpkins for fall decorations. 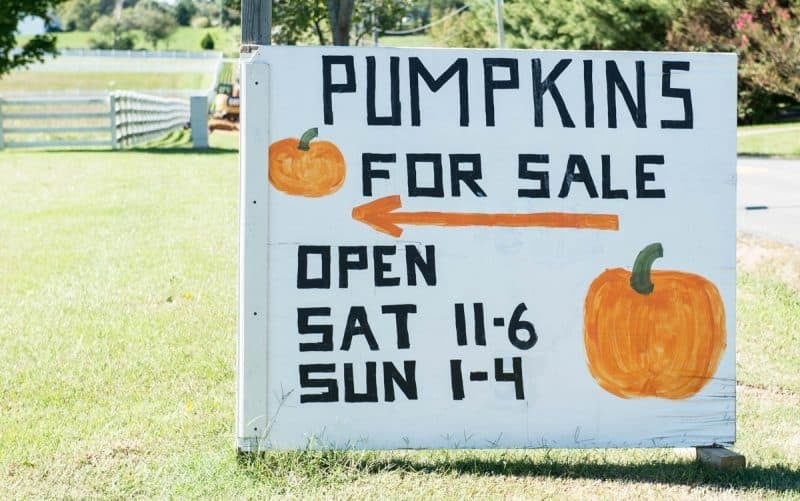 For many years we’ve visited the same small local farm owned by some very nice people to buy affordable pumpkins and gourds. At three for $1.00 you can see I got a great deal! 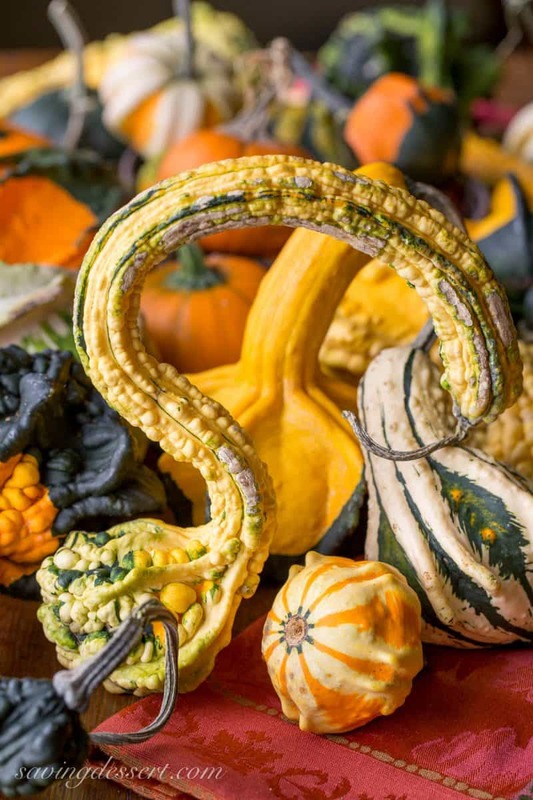 Last year I did an entire post on pumpkins and gourds because they are so fascinating! 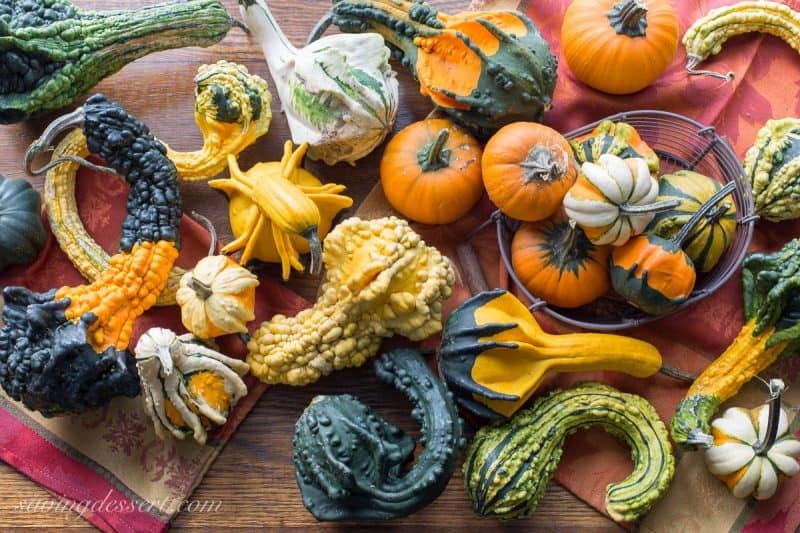 We found tiny, colorful gourds and enormous bright orange and white pumpkins all in the same field. The owners provide tools to cut the stems and wagons to carry the load. Our daughter Allie (left) with baby Isabelle, her son Issac, and little Jayden with her mom Callie on the right. Our grandson Isaac is such a ham! Some pumpkins were enormous but none priced more than $10 each. We picked some big (not this big) pumpkins for a special project … see photos below! 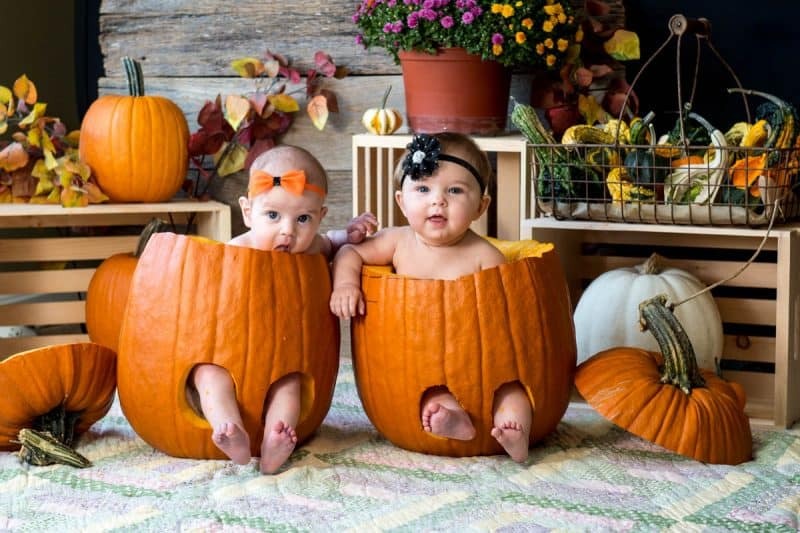 Our daughter Allie had one of those crazy-creative ideas to put our two granddaughters inside carved out pumpkins for a fall photo shoot. My husband and I did our best to make her vision come to life and we all had a great time! Four month old Isabelle is on the left, and 7-month old Jayden is on the right. The girls played along wonderfully and enjoyed licking the pumpkin for most of the shoot. Allie and Callie carved the pumpkins and I did the set design. We warmed the pumpkins with a hair dryer and stuffed old towels in the bottom for a cushion and added height. My husband did an amazing job shooting the girls, but we’re not at all surprised. He’s an award winning photographer and has taught me everything I know. Our young mothers provided the distraction and entertainment while I herded Isabelle’s 4-year old brother Isaac around the house. If she had teeth I think Isabelle would have taken a bite or two! Don’t you know these cousins will grow up to be great friends. Grandson Isaac got into the action and thought his sister was crazy for licking the pumpkin, he said she was a silly girl. It was only last year that he licked his first raw pumpkin stem! Place two 7-ounce ovenproof ramekins (or three smaller ramekins) into a baking pan that is at least 2-inches deep. Make sure the ramekins are not touching. In a small saucepan, heat the cream, milk, and pumpkin pie spice over medium heat, stirring occasionally, just until it starts to boil. Remove from the heat and add the salt and vanilla bean paste. Allow the milk mixture to rest and infuse the flavors for 10-15 minutes. 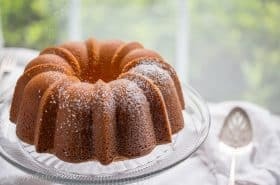 In a medium mixing bowl (one with a pouring spout would be great) whisk the egg yolks with 3 tablespoons granulated sugar and brown sugar. 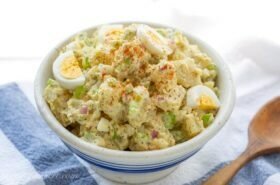 Whisking constantly, temper the eggs by slowly streaming the hot mixture into the egg yolks until completely combined. Add the pumpkin puree and mix until combined. Divide the batter into the prepared ramekins and heat a kettle of water to boiling for the hot water bath. 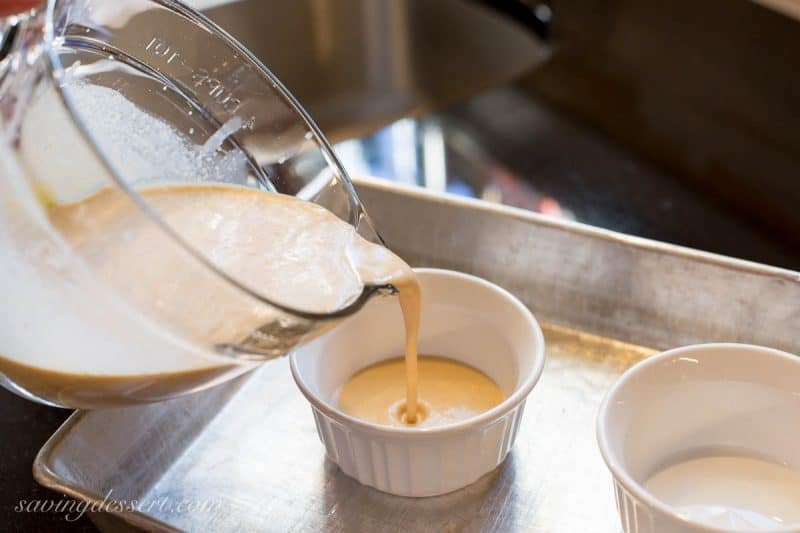 Place the pan with the ramekins in the oven and carefully pour boiling water into the outer pan until it comes halfway up the sides of the ramekins taking care not to splash water into the custard. Bake for 40 to 45 minutes or until the custard jiggles slightly when you shake the pan. The custard will firm up as it cools. Remove the ramekins from the water bath and cool at least 30 minutes on a wire rack. Cover each with plastic wrap making sure the film does not touch the surface of the custard. Refrigerate at least 2 hours or up to 24 hours. 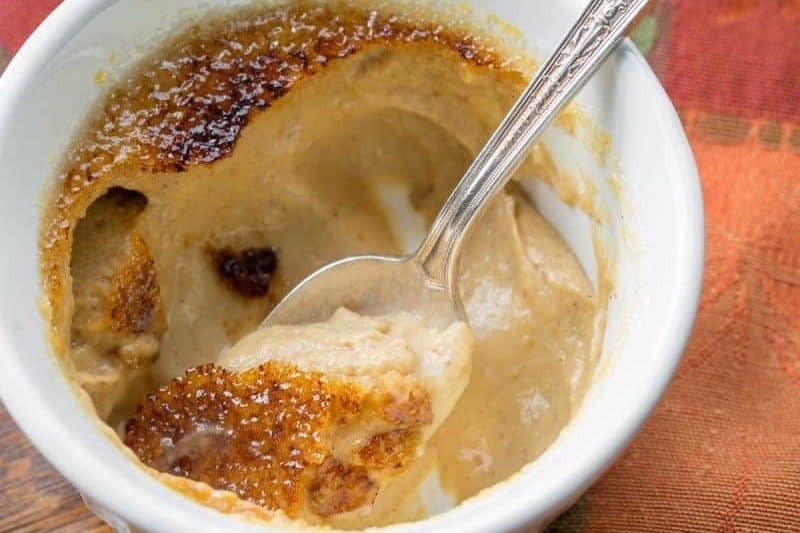 When ready to serve the creme brûlée, preheat your oven to broil, or prepare your kitchen torch. 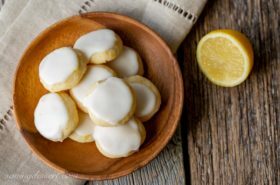 Uncover the custards and sprinkle with enough granulated sugar to cover the tops. Rotate the ramekin so the sugar covers the entire surface of the custard. Discard the excess sugar so you are left with a thin coating that completely covers the custard. Broil or torch the sugar until it is well browned and melted. Allow the creme brûlées to cool for a few minutes, then serve and enjoy! Here are a few more pumpkin recipes you might enjoy! We’ve headed to the Shenandoah Mountains to enjoy a few days of camping, hiking and “leaf peeping” before the cold weather sets in and the camp grounds close. I hope to share some more fall photos with you next week! Thanks very much for stopping by, I hope you have a wonderful, beautiful weekend! Yep! You definitely changed our minds! Never made a creme brulee before and LOVE your broil tip ( we don’t have the torch). Your grandchildren are so beautiful!! …and your photos make me smile- I had to show my husband too! Have a great week! I hope to get back into blogging soon. Yeah!!!! I sure do miss you two – hope things are going well and settling down after that busy summer. Thanks so much for stopping by! This fall photo shoot is WONDERFUL. Each person contributing their talents to capture this fun moment in time. Every photo makes me smile. You must be delighted! Creme brulee is one of my favorite desserts. My son is in charge of Thanksgiving dessert and creme brulee has made numerous appearances over the years because, as you said, it looks fancy but is actually easy. Also, playing with a torch is fun! 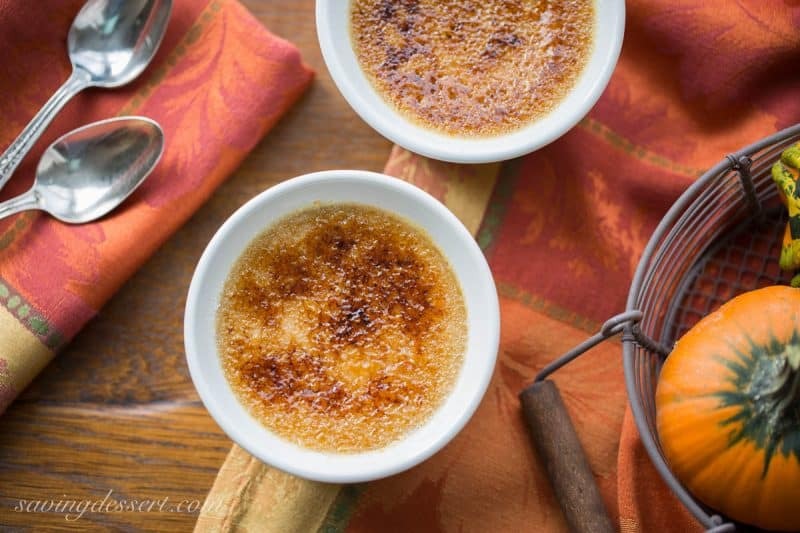 A pumpkin version of creme brulee sounds great to me! Oh my goodness, Tricia, this is the best ever! Your grandchildren are so precious and those photos have me smiling from ear to ear this morning. Just too precious! Issac’s smile is contagious and those beautiful babes will have so much fun looking back on these photos. Your husband rocks the camera! 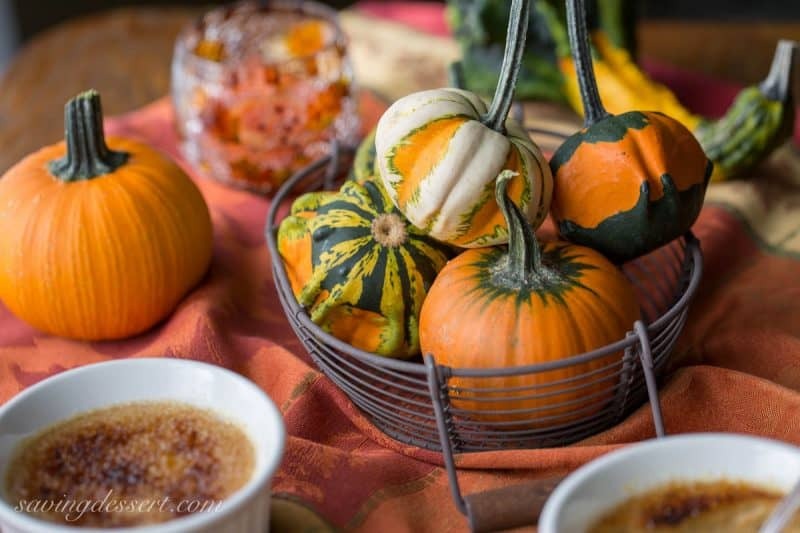 Great gourds and awesome brulee! I’m going to try this one because it will impress company and they’ll think I can actually bake, lol. Thanks for starting my day off so perfectly! Those photos of your grandchildren are gorgeous and very creative. I am a big fan of creme brûlée and yours looks delicious. Your dessert looks delicious, but the real stars of this post are the kids! The pumpkin shots are gorgeous, and Isaac is adorable. Thanks Beth 🙂 Hope you have a terrific week! The kids shots are really cute. I like the pumpkin twist you’ve put on the creme brulee for the fall. I’m not a big fan of it but I live with a woman who is so I’ll be sure she sees this. Thanks Larry! And thanks for sharing with Bev 🙂 Hope you are all doing well. I love brulees of any kind but pumpkin is the winner for fall! I love that crispy topping and creamy center. 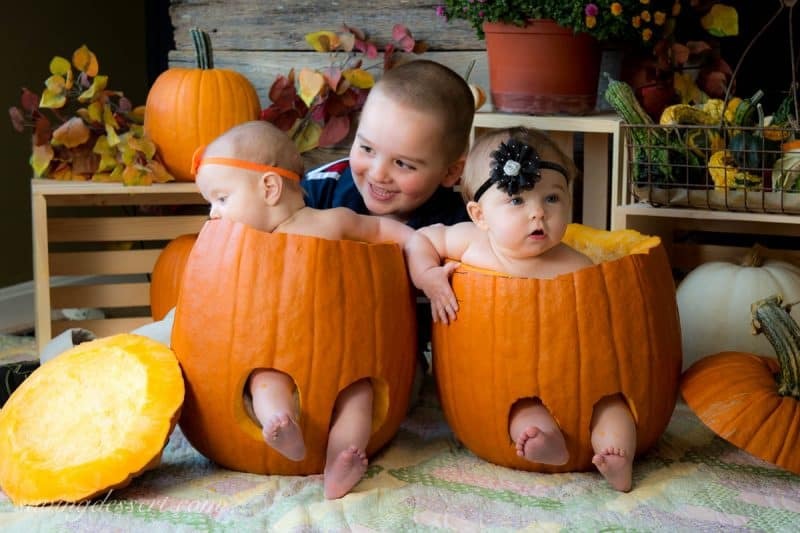 What great shots of the kiddos and that shot of the two inside the pumpkins is adorable! My cousin and I are 5 days apart and grew up together until we moved to another city but we are still close today. 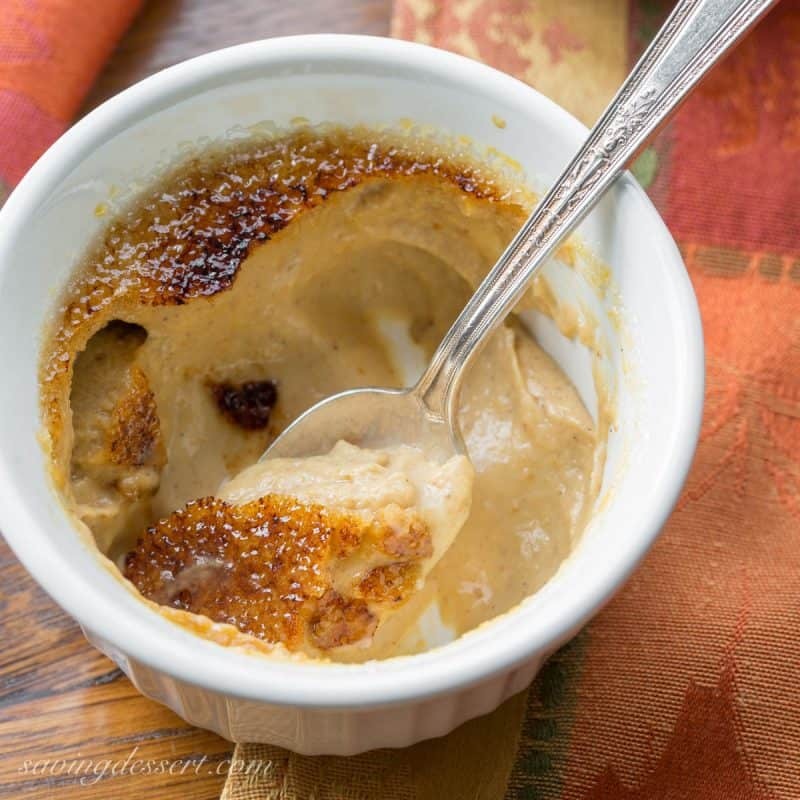 Now why have I never thought about pumpkin creme brulee before – what a fantastic idea! Have a happy weekend ahead. Love, love this time of year. Autumn arrives late here in north Florida. Pumpkin creme brûlée is delightful. Perfect for the autumn. You did a really nice job on the photoshoot! Absolutely adorable. Hi Tricia, I just love the pictures of your grandbabies, what fun you are going to have in the upcoming holiday. I have always been too afraid to make this dessert, you make it sound so easy. Looks delicious! Love this post and those photos! You will treasure them forever. And this brulee? I made a similar one a few years ago for Thanksgivingkuh along with donuts. Both were devoured! Thank you Abbe – hope you’re fully recovered from your big adventure! 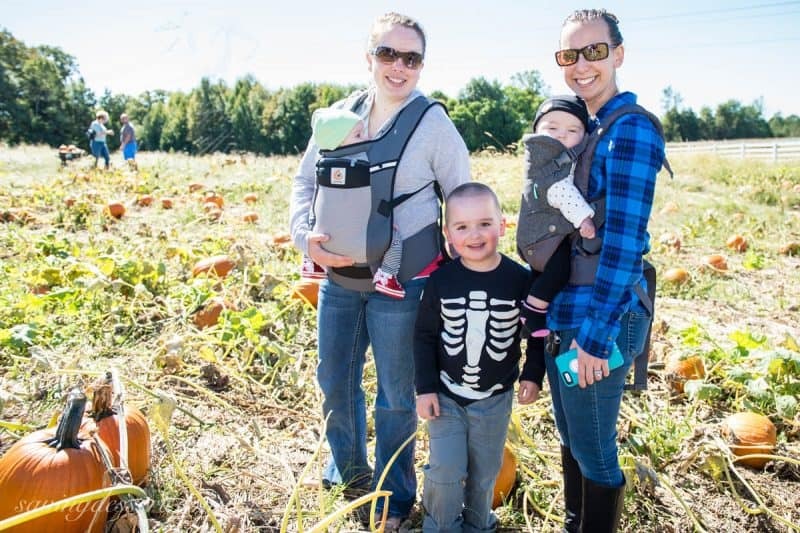 We had such a great time with the pumpkin picking and photo shoot. Hope you get to make a pumpkin version some time – it’s a keeper! I hope you love it Jennifer and thanks! Such a beautiful post! 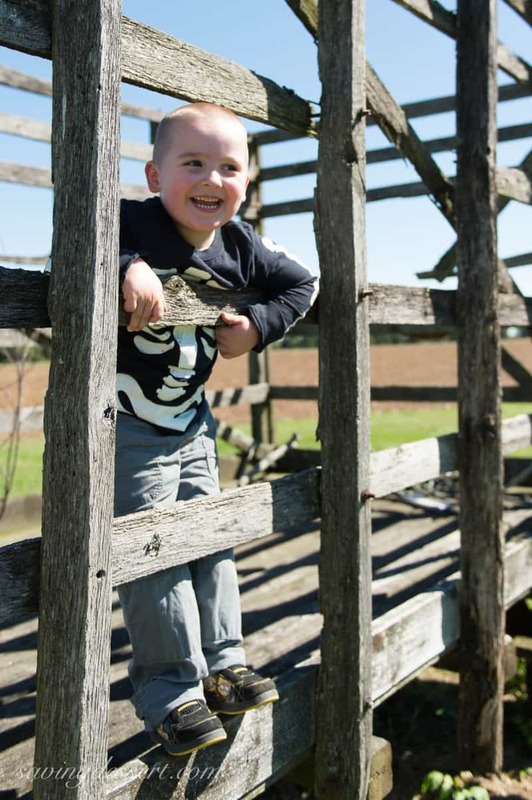 Issac is now a big handsome boy and I seriously love Allie’s creative photo idea…so adorable and fun! 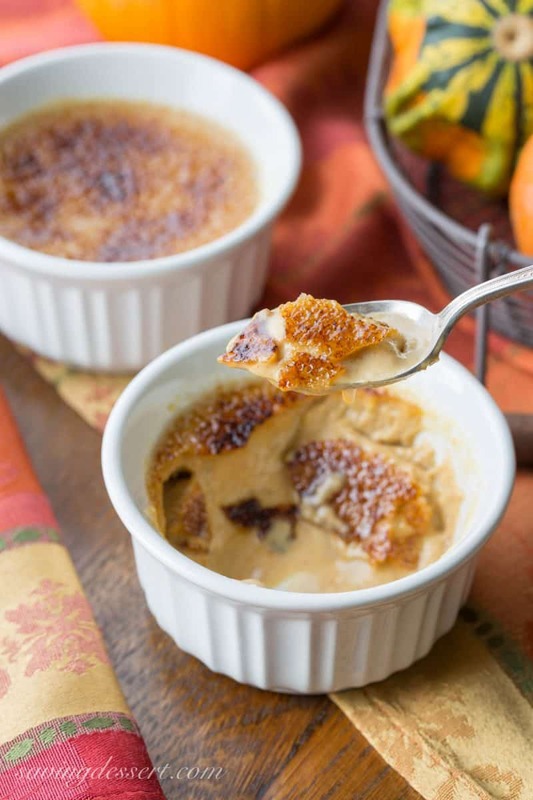 Your pumpkin creme brulee looks so delicious! Thanks Angie! It was a fun adventure with the pumpkins. Have a lovely week! Yeah! So glad you like it – we do too 🙂 Happy baking!